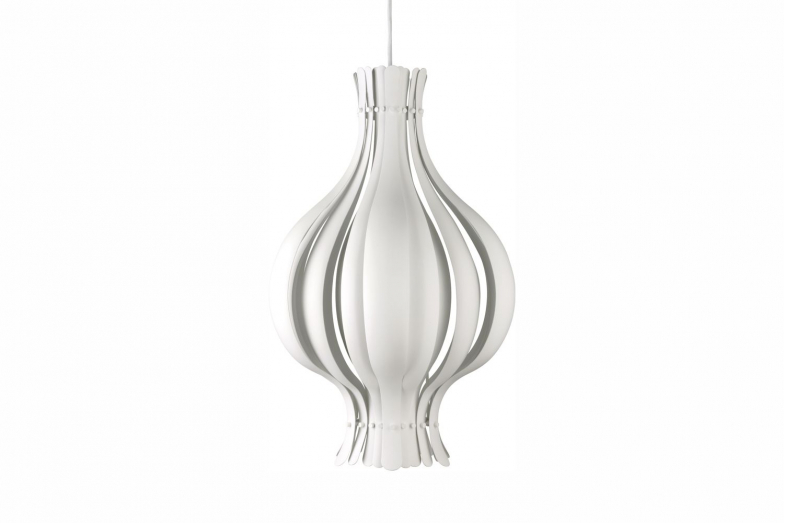 The Onion pendant lamp was designed in the late seventies, and originally known under the name YAMAGIWA. Verner Panton designed it in a form reminiscent of the cross section of an onion, consisting of a large number of metal discs. These hide the light source and at the same time act as reflectors. The Onion pendant comes in two sizes. Besides the pendant the Onion is also available as table lamp.